This text will examine the role that the family plays on the development of the superhero as portrayed in radio, comics, graphic novels, television series, and feature films. Many superheroes have experienced the trauma of losing (a) parent(s), which sets them apart from others. Thus, the individuals that the superheroes gravitate towards become an integral part of their lives, to the point where they form a necessary and vital “familial network” of connections that would either replace those that were lost or never fully established. This network ranges from “substitute” parents/guardians as well as siblings and relatives, to significant others and even more extended members comprising superhero teams. Each chapter will focus on a specific superhero and how s/he has been impacted by the aforementioned familial figures. Through this collection of essays, readers will understand the psychological makeup of superheroes much better and see that behind every hero is a family member(s) encouraging them to use their powers for the benefit of humanity. We already have an agreement with McFarland Press to do this collection, so all that remains is securing the contributions in a timely fashion for a planned text publication in early 2021. The deadline for proposals of 500 words is April 30, 2019. Please email your abstract and a brief bio to jiaccino@thechicagoschool.edu. Please put “Familial Influences Abstract” in the subject line. If an abstract is selected for the collection, full essays of 5,000-7,000 words will be due by September 1, 2019.
debates intersect with cultural concerns. Co-editors Heather M. Porter and Michael Starr invite proposals or completed essays for an edited collection of scholarly works that explore Joss Whedon’s science fiction television series Dollhouse (2009-2010). Though arguably Whedon’s most provocative foray into television, Dollhouse has thus far been subject to limited academic analysis in comparison to his other works, something this collection is aiming to redress. Indeed, Dollhouse’s meditations upon corporate control of the individual and female autonomy have grown ever more prevalent in the light of contemporary socio-political developments and the #metoo movement, and are hence ripe for further investigation. Confounding Purpose, Confusing Identity. Lanham, MD: Rowman & Littlefield, 2014. Association. Volume 8.2/3, Summer/Fall 2010. NC: McFarland and Company, 2016. Kitchens, Juliette C. At Home in the Whedonverse: Essays on Domestic Place, Space and Life. Jefferson, NC: McFarland and Company, 2017. Waggoner, Erin B. Sexual Rhetoric in the Works of Joss Whedon. Jefferson, NC: McFarland and Company, 2010.
words) to reenteringthedollhouse@gmail.com (subject line: Dollhouse Collection). Proposals should be submitted no later than September 1, 2018. Selected contributors will be notified by October 1, 2018. We suggest but do not require that proposals include a working bibliography. Please provide in a separate document or in the body of the email a brief author biography and selected list of prior publications/conference presentations. We are currently discussing the book proposal with a publisher who is very interested in the collection, hence are working on a production timeline which would tentatively allow the book a 2020 publication date. Image of America and Image of Russia will be held. You are welcome to suggest your own panel (no less than 3 participants). Deadline – May 15, 2018.
their talk, if given in Russian. papers, an annual bilingual collection is published. Kremlin and a farewell party. address larmih@gmail.com no later than September 20, 2018. See you at our conference! The theme of this year’s Wilson College Orr Forum is concerned with inequality, from social justice to wealth and status to the veritable “Eye of the Needle,” referencing the New Testament story about a rich man asking Jesus what is needed for salvation. Wilson’s annual Humanities Conference seeks to broaden this theme by focusing on concepts of alienation and alien-ing—on that which causes us to create or notice difference, and that which causes us to react to those differences as well. The Other suggests that which is of society but still different from it—meaning that the Other is recognizable as an element of society, even if originating elsewhere. The Alien, though, suggests some things—beings, concepts, people, ideas, beliefs, values, systems—that seemingly differ so much that they must originate from outside of society—from other worlds and outer spaces, metaphorically or (in some cases) literally. Aliens, after all, in their most basic definition, are beings not of this Earth, and as such, they are strange to us indeed. This conference looks to how the various fields represented by the Humanities explore our own relationship to these concepts of The Alien and The Aliens. How can we use the Humanities to make sense of that which seems so different? How can we use what we study to understand more about our own fears and fascinations for what is seen as dissimilar, and strange, and unusual? Or, conversely, how does the Humanities bridge the gap between The Alien and what is deemed socially normative, or socially desirable, or simply capable of being comprehended? Please feel free to interpret the theme of this conference liberally. Our goal is to bring a group of Humanities scholars from around the region together to articulate and celebrate these always intriguing and confounding questions of difference, o/Otherness, inequality, alienation, and, yes, even little green men and women; we hope to use this conference to explore all relevant aspects of what is alien. Faculty, graduate students, and independent scholars are invited to submit. Individual presentations will last no more than 15 minutes; panels of up to 3 individuals may be submitted as well. Special panels or creative approaches are happily considered; please contact the conference director for more information. Each conference participant may submit only one abstract. Abstracts are due by JANUARY 15, 2017. The conference is sponsored by Wilson’s M.A. in Humanities program, in conjunction with the Orr Forum 20176-17 Lecture and Performance Series. In light of the recent fiftieth anniversary of the long-running science fiction television series Doctor Who, it seems only fair that some attention be paid to its creator Sydney Newman (1917-1997). Newman enjoyed a long and interesting career in broadcasting and films. While his ‘claim to fame’ might very well be as creator of Doctor Who and Avengers, he also worked at the Canadian Broadcasting Corporation as Supervising director of features, documentaries and outside broadcasts (1952-1958), the Associated British Corporation as head of Drama (1958-1962), the British Broadcasting Corporation as head of Drama (1962-1967), and the National Film Board of Canada as a film editor (1941-1949) and as Commissioner (1970-1975). He then became a special advisor on film to the Canadian Secretary of State, and was Chief Creative Consultant for the Canadian Film Development Corporation (1978-1984). His work at these institutions was important in the history of Canadian and British broadcasting, and popular culture. His influence was far-reaching. But thus far, while there have been some studies which have taken into account the particular roles which he has played during his career, no study has taken his roles together, to provide a more complete picture. This peer-reviewed collection seeks to understand Sydney Newman in relation to his long career in Canada and in Britain. Articles can deal with specific aspects of his career, specific institutions, specific programs he developed, his influence as a producer/filmmaker, or administrator. Biographical articles are also welcome. The aim is that the collection taken as a whole will provide a balanced look at his varied career in two countries during periods of significant development and change in the entertainment industry. Proposals should be approximately two hundred words, and sent to gilliandoctor@gmail.com by the 1st of September 2016. A decision will be communicated by the 15th of September, and final articles should be submitted by the 15 May 2016. The Journal of Popular Romance Studies is a double-blind peer reviewed interdisciplinary journal exploring popular romance fiction and the logics, institutions, and social practices of romantic love in global popular culture. JPRS is available without subscription athttp://jprstudies.org. 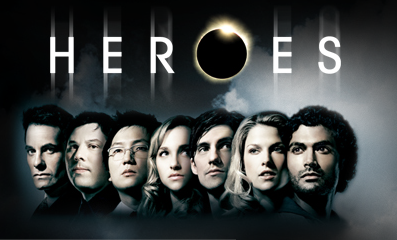 Editor Heather M Porter invites proposals or completed essays for an edited collection of scholarly works that explore Tim Kring’s Heroes (2006-2010) and the upcoming new incarnation of the series as a mini series Heroes: Reborn (2015). Proposals are sought on a variety of topics as diverse disciplinary approaches. It is strongly recommended authors familiarize themselves with these publications to extend and/or challenge published analyses of the series. Simmons, David ed, Investigating Heroes: Essays on Truth, Justice and Quality TV, Jefferson, McFarland & Company, 2012. Queries are welcomed: please email to PorterHeatherM@gmail.com and indicate that it is a “Heroes Query/Proposal/Paper” in the subject line. Send 350-500 word proposals or 5,000-7,000 word essays in Microsoft Word or Rich Text Format (RTF) to the same email address. Please provide a brief biography in a separate document or in the body of the email.